If your definition of dance music is simply “thump, thump, thump,” you’re doing it wrong. Club Nomadic Entertainment Group has voluntarily dropped a federal lawsuit accusing Mystic Lake Casino’s events company of breach of contract after abruptly shelving its glitzy pop-up concert venue ahead of Super Bowl LII. Club Nomadic Entertainment Group filed a federal lawsuit Tuesday alleging that Mystic Lake Casino abruptly shelved its glitzy pop-up concert venue without notice just three weeks before Super Bowl LII after promoters sunk $2.4 million into the nightclub. PRIOR LAKE, Minn. (AP) — A traveling nightclub that was designed to bring VIP experiences to the Minneapolis area during the Super Bowl has been cancelled. Club Nomadic had been building its venue in a parking lot at Mystic Lake Casino Hotel in Prior Lake. A company owned by the Shakopee Mdewakanton Sioux Community says that as the Super Bowl approached, it determined it would be impossible to ensure that an event at Club Nomadic would meet the tribe's "standards of quality." Beyoncé is making good on her promise to headline the 2018 Coachella Valley Music and Arts Festival. Queen Bey was slated to headline last year's festival, but she was pregnant with her twins at the time and canceled due to doctor's orders. The superstar singer, who is married to rapper Jay-Z, gave birth to Rumi and Sir Carter in June. Hailey Baldwin has reportedly been partying hard ever since she turned 21 last month. The American model celebrated her landmark birthday on November 22 and she's subsequently been spotted at numerous different nightclubs, including Story in Miami, where she witnessed DJ Marshmello's performance on Thursday (12.28.17). 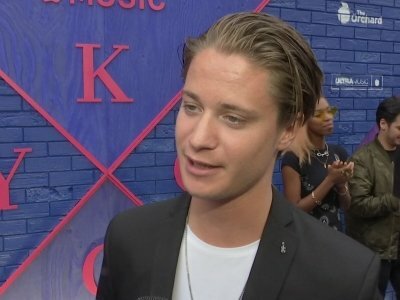 A source told the New York Post newspaper's Page Six column: "She was in the DJ booth alongside Kygo." PRIOR LAKE, Minn. (AP) — Ellie Goulding and DJ Kygo have been announced as the latest acts to perform in Minnesota during a star-studded Super Bowl week. The Grammy-nominated Goulding and Norwegian electronic dance music artist Kygo will headline at Club Nomadic at Mystic Lake Casino Hotel on Friday, Feb. 2. Other acts at Club Nomadic include The Chainsmokers on Thursday, Feb. 1 and Florida Georgia Line on Saturday, Feb. 3. A headliner for Club Nomadic's Sunday event has not been announced. Selena Gomez has teased her next single is called 'Bad Liar'. The 24-year-old beauty took to her social media accounts on Thursday (11.05.17) to reveal the title behind her long-awaited follow-up to 'Kill Em with Kindness' and 'It Ain't Me' with Kygo, which she released earlier this year. She simply posted three pictures of her bedroom window's blind with the title written in red and purple paint across it on Instagram. LAS VEGAS (AP) — Alison Wonderland, Diplo, Jauz, Marshmello, Tiesto and Martin Garrix will perform at the 21st edition of the annual Electric Daisy Carnival in Las Vegas in June. Organizers on Friday released the lineup for the three-day music festival, which will take place June 16-18 at the Las Vegas Motor Speedway. More than 230 musicians are set to perform, including musical trio Major Lazer, Kygo, Cut Snake, Griz and Mija.